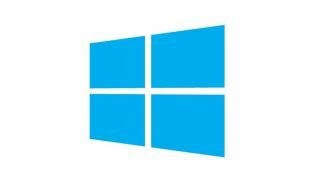 Microsoft is beginning to see growth in its Windows 8 platforms, both on PCs and on mobiles. Based on numbers from Net Applications, the Windows 8 OS is now on 3.17-percent of desktop machines and laptops, a figure which puts the platform in front of any individual variant of Apple's Mac OSX system. The bulk of OS installs on PCs remains with Windows 7 at 44.73-percent and Windows XP 38.73-percent. While the Windows 8 user base may be on the rise, it definitely has a long way to go. Microsoft's mobile ambitions are in a similar state, seeing only modest growth over the last 12-months. Windows Phone (as a combination of versions 7 and 8) now holds 4.1-percent US market share, according to Kantar Worldpanel, a gain of 1.4-percent from the same time last year. The news is much better for Microsoft in Europe, where Windows Phone now holds 6.7-percent market share in the UK and 6.8-percent in Germany. But, it is in Italy where the platform is most warmly received, with a 13.1-percent share -- more than doubling its position in Italy from last year. The platform losing most in this period is Symbian, suggesting Italians may be sticking with the Nokia brand rather than switching to Windows Phone. The Kanter WorldPanel figures also show a small downturn for Apple's iOS platform in several regions, with a 3.9-percent loss in the US. BlackBerry figures are also in the red, though this data won't include any gains following the launch of the BlackBerry 10 OS in January.